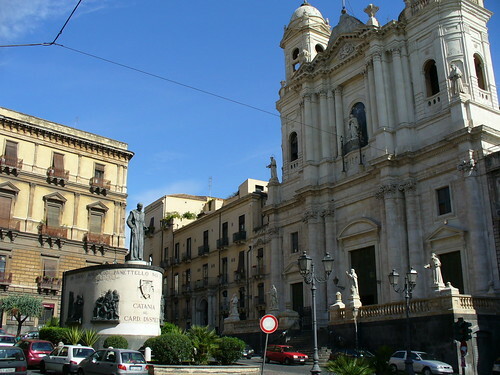 The city of Catania is the second largest on the Italian island of Sicily. It’s located between the towns of Syracuse and Messina. 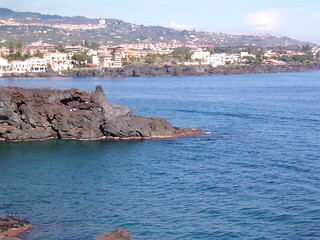 Catania faces the Greek coast at the level of the Ionian Sea (on the west of the Greek mainland). The city was founded as a Greek colony as early as the 8th century BC. The city has always been in grave danger of the eruption of the nearby Mount Etna volcano. Interestingly, the fertile soil which is excellent for the growth of vines, was produced by volcanic ashes. In 121 BC Catania was engulfed by lava but then rebuilt. 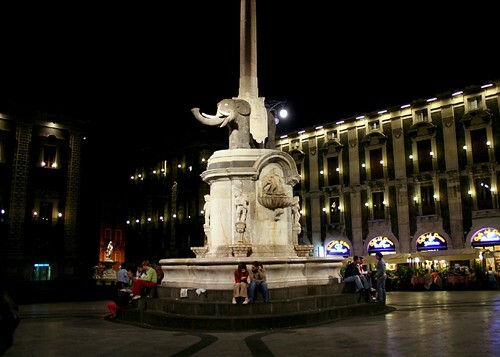 By the 14th century Catania was the Renaissance capital of Sicily and a political centre of huge importance to Italy. The first university in Sicily was opened in Catania in 1434. The city was completely flattened by an earthquake in 1693 and rebuilt in the Baroque style. The main sights include the U Liotru which features an elephant sculpture (the symbol of the city since the 13th century) supporting an Egyptian obelisk, the Catanian Museum of Mineralogy, Paleonthology and Vulcanology, the Church of Saint Francis of Assisi and the Roman Amphitheatre. 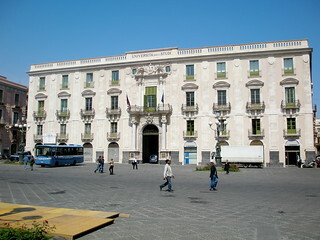 The centre of Catania is a UNESCO World Heritage Site. Classical buildings in the city-centre are parts of the archaeological park (Parco Archeologico Greco-Romano di Catania). They include the 3rd century Odeon, the Greek Acropolis of Montevergine, several Christian Catacombs, the Achillean Baths and the Roman Thermal Baths of Santa Maria dell’Indirizzo. You can also look around the famous central fish market, relax in Catania’s tranquil Botanical Garden and visit the Castello Ursino and the Villa Pacini. The Town Hall, the Palazzo degli Elefanti, was originally designed by Giovani Battista Vaccarini.